So, remember those British Dungeons & Dragons ‘zines I posted about a few days ago? I threw them on the eBay, and most of them brought in $10 to $15 apiece, with a couple in the $30 range. But that Dragon Lords #1, with the signatures? I started that at $8.99, by the way. Figured I’d get about ten or twelve bucks for it. 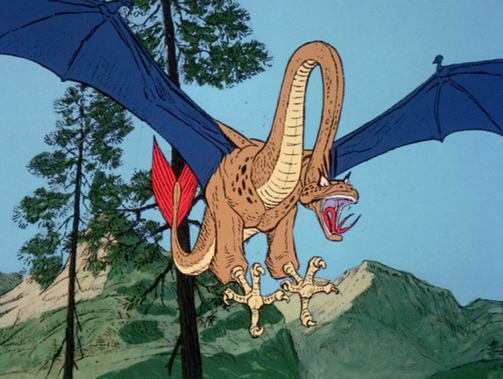 …Guess I’d better break into that additional case of Dragon Lords #1 I have in the back room…! Now, about that housekeeping promised in the subject of this post…I’ve had a few scans just sitting on my computer’s desktop, awaiting my use here, and I’m never seeming to get around to creating posts about each of them. Thus, I’m just going to throw them all into this post. Enjoy! 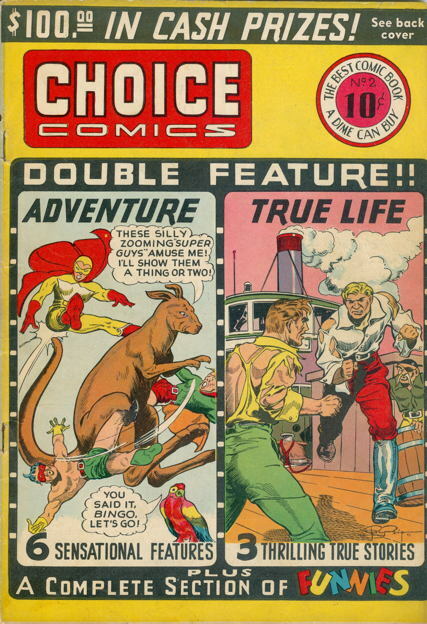 I mean, we were this close to Kangaroo/Parrot Buddy Comedy-Adventure being the dominant genre in the comics industry. If only things went slightly differently…if only. 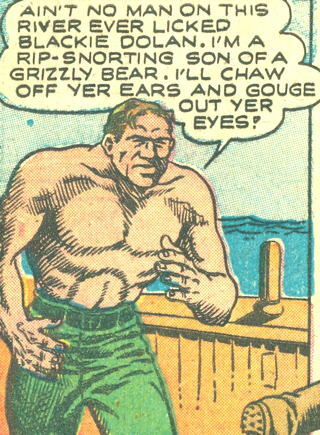 This is pretty much what every angry ‘n’ anonymous commenter on every Internet message board and comments section looks like, so don’t mess with ’em. So, Dad, if you’re reading my site at home right now, be sure to call Mom over and show these to her, so she can see what she missed nearly four decades ago. Oh, and this has nothing to do with anything, but I mentioned on the Twitter that I was reading this amazing article about the even-more amazing history of TV’s ALF, and pal Ian…remember pal Ian, he wrote some comics, I hear…he replied to me with a link to a YouTube video of the ALF cartoon’s theme. I’d never heard that before, and it ain’t half-bad. Thanks for exposing me to that, Ian…I take back most of the bad things I’ve said about you! 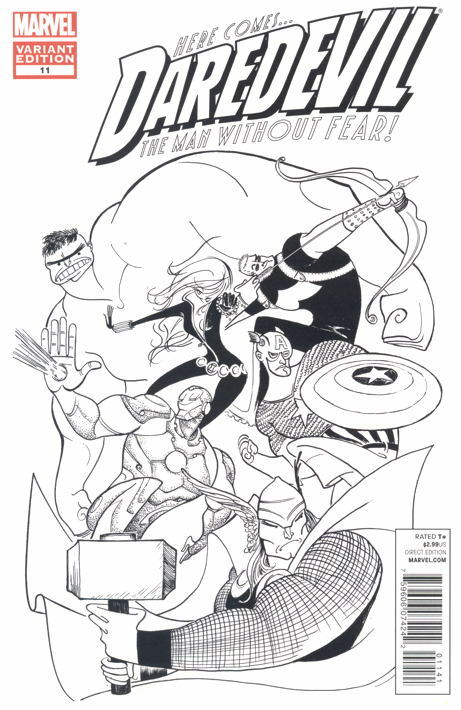 I like that Avengers cover, but where are the Ninas? Is there a hidden signature in the Avengers cover? Don’t forget to bring along your Sharpie. See now that, that’s a variant worth chasing. At first I wondered if there were any “Nina”s in that Avengers cover, then I hoped there were not. 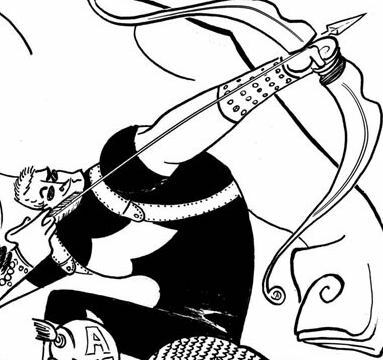 That was such a personal Hirschfeld thing that it would seem weird, to me, if a different artist used it. Even in homage. Maybe they are in there, but I’d rather not look. fighting Nazis. Kangaroo and parrot buddy comics FIGHTING NAZIS! Mike I hope you don’t mind but your scan of that Choice Comics issue was so much nicer than what we have over on the Grand Comics Database that I uploaded your scan over there. I wish I had a shop local that would actually consider stocking such a book like that if it came in the door. Here if it’s not modern superhero stuff they are not interested in carrying it, probably because I’m the only person who would be interested in that kind of thing. I was probably too young to be legitimately discerning about this stuff, but I remember the ALF cartoon as being legitimately pretty dang good. Probably a lot better than the live-action show. 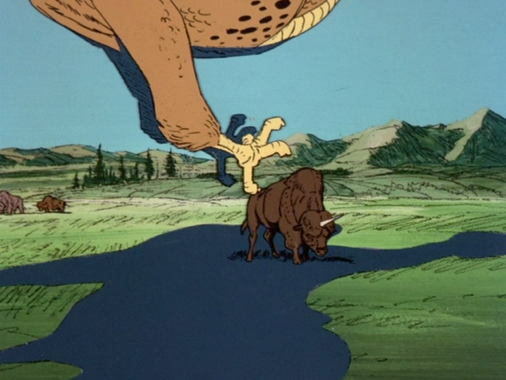 It was set on Melmac before it exploded (which sort of makes it retroactively depressing) and was basically a parody of a 50s sitcom…everything on Melmac resembled the 50s for some weird reason…and of course Alf was referred to by his “real” name, Gordon Shumway. Kind of bizarre, thinking back on it, but it had that wacky Animaniacs style of goofy pop culture riffing and some solid animation and visual design. I need to hear some rambling on about Swampy.He’s finally back,you know.